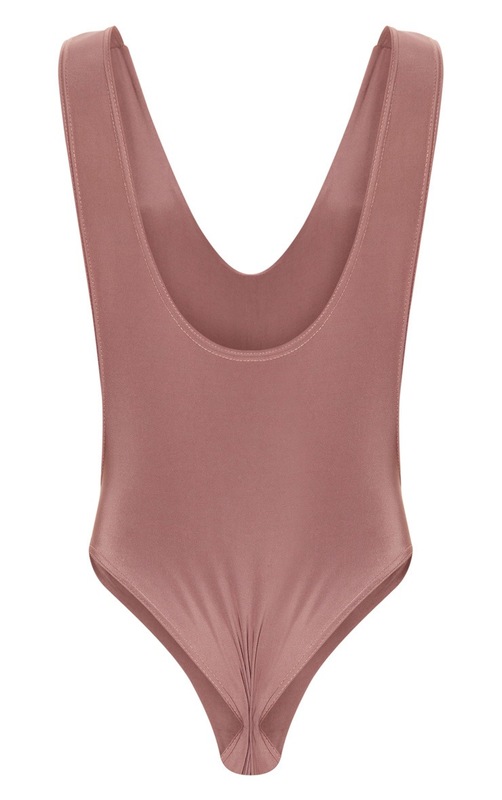 Take the plunge this season with this slinky bodysuit. Featuring a mauve slinky material, a plunging neckline, low drop arm holes and a thong fit with popper fastenings. Team it with slinky cropped leggings and heeled lace-up boots.